Today I'm pleased to have with me fellow Young Adult Romance author Bonnie Ferrante. Her new release Dawn's End debuted on Noble Young Adult in June. Bonnie Ferrante writes fiction and non-fiction for young people. Gordon Korman selected her story The Amida Tree as a winner in a 2010 writing contest. Also, her story on bullying was chosen by Anne Coleman. Fred Stenson wrote "What a talent" when he chose one of her short stories as a winner. She has been published in the YA anthologies Many Cultures, Many Voices: Collection Two, Takes, and Close Ups: Best Stories for Teens. Her work has appeared in various children’s and adult magazines and anthologies. Bonnie loves living in Northern Ontario, Canada even though she spends most of the long winter indoors (reading and writing). She chants, bikes, gardens, reads, stitches, volunteers, studies the Dharma, paints, plays/works on the computer, attends live theatre, loves board games, and enjoys being trounced in scrabble by her husband, Fred. She is often found ripping up pieces of her yard, stripping furniture, or making “something”. She hates cooking and cleaning and loves her robot vacuum, (too bad it can’t move the furniture). Her son, daughter-in-law, stepsons, and precious granddaughters keep her young. Once upon a time, she was a grade school teacher. She has entirely too much imagination and not nearly enough opportunity to indulge it. 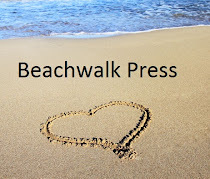 What motivates Bonnie Ferrante the author? Why do you write? I write because if I didn't there would be a huge hole in my life. When I taught full days, working and other responsibilities took all my time and imaginative energy. I ached for the all-encompassing rush of being lost in composition. When I write, nothing is impossible. I feel the bliss of creating. I started composing stories and puppet shows before I could write. In school and university I developed a passion for poetry. In my thirties I wrote short stories, did a humor column for a regional newspaper and started two novels. When I went into full time teaching, this drive was funneled into writing with students and creating my own theatrical productions for the school's drama club. For health reasons, I stopped teaching and now I finally have the chance to become a actual novelist. It is the best high of my life. I discovered I love writing young adult fiction even more than I love reading it. Unfortunately, my writing live still can't be scheduled. I still have a lot of other demands on my time and energy. I will write for eight or more hours a day for weeks and then not look at it for a week. Generally, though, I write about five hours a day for four or five days a week. It depends what I am working on. If I am captivated by a story I want to tell, I will think about it constantly and work on it every minute possible until I feel I've recorded the gist of what I want to say. Then comes the real work –revision. Well, Charles Dickens is my favorite all time author so if I could travel back in time I would ask him what made him able to get inside the heads of so many different characters of different genders and classes and also write with such poetic incomparability? Is there a journey I could also follow to link into that power? Don't publish too soon. Write, get into a critique group, be tough on yourself, do not expect to get published for at least a decade. If you put your stuff out there too soon, on your blog or some other self-publishing method, you may (that's MAY – there are always exceptions) establish yourself as a mediocre writer. Writing takes years to develop. Put in your ten thousand hours before you say, "This is my best." Blurb: Betrayed by her fiancé, Nicole Newman has put her love life on hold. She loses herself in fantasy, becoming isolated and despondent. When a voice from the woods identifies himself as the man of her dreams and asks for her help, Nicole is unsure whether he is stalking her or about to take her on the adventure of a lifetime. Who, or what, is this mysterious being? Dawn’s End, a place of simplicity and goodness, is being overcome by a gruesome darkness. Possessing bits of information, Nicole and the dark man know only that they must complete their quest before Nightfall becomes permanent. How far can she trust this not-quite-human? 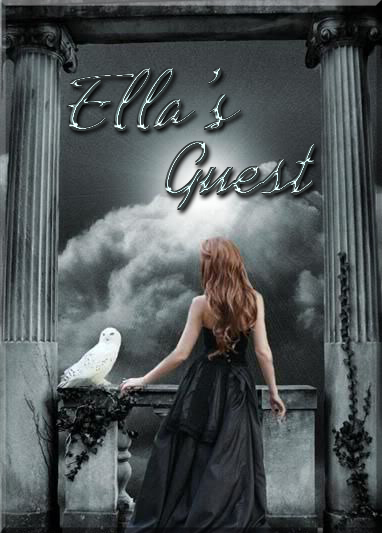 Can they save a world, possibly two, when Nicole isn’t sure she can save herself? You bet. 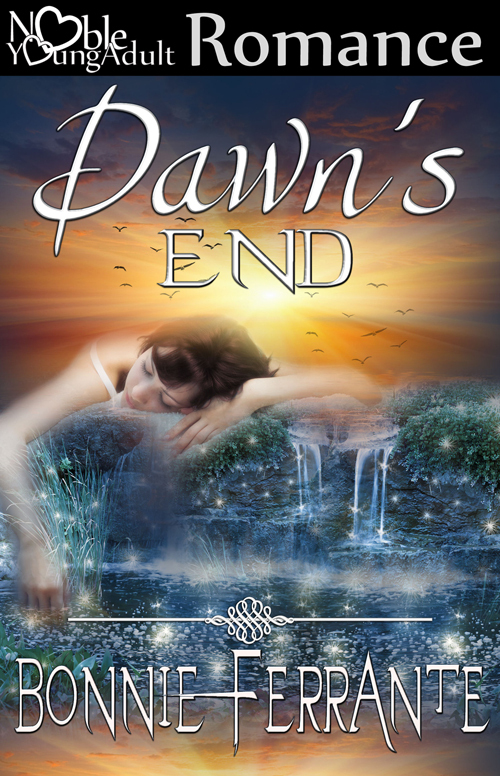 Dawn's End: Poison, is a sequel to Dawn's End, but also a dark fantasy. It is much edgier, gruesome, and sinister. It is in the revision stage. I have just completed Switch a young adult historical fiction which takes place during the first two years of Queen Elizabeth's reign. It is about a teenage girl struggling to survive in a harsh world and discovering her talents, values, and personal power. I am looking for an agent for this book. I am in the second draft of a fantasy book entitled Water and Fire for young adults. I also have two other young adult books in the creation stage. Check out my site http://my.tbaytel.net/bonnieheather/index.htm Enjoy some of the free activities and drop me a line at b.ferrante@tbaytel.net. Thanks so much for joining us Bonnie. Great advice!